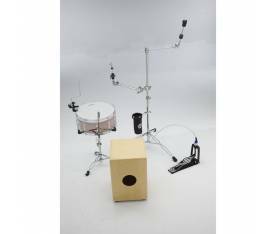 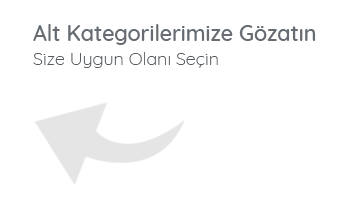 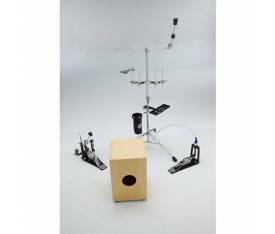 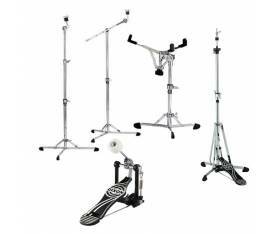 dw Drums 3000 Serisi Hard Ware PackDW Drums Markalı ürünler en uygun fiyatlar ve ödeme koşulları ile muziksepetim.com'de...Teknik Özellikler Includes 3300, 3500, 3700 & 30003000 Series pedals are designed for every drummer. 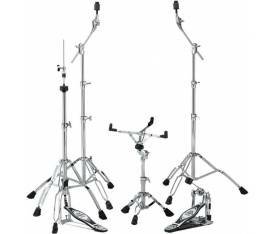 Features dual-chain Turbo drive, bearing rocker assembly, 101 2-way beaters and heavy-duty all-metal construction and more.3500 hi-hat stands features tube joints with integrated memory locks, lateral cymbal seat adjustment, 379 locking clutch and the fast action and quick response that's made DW hi-hats famous.The 3700 straight/boom cymbal stand and 3710 straight cymbal stand feature sturdy double-braced tripod legs with offer plenty of support for large cymbals, while lighter gauge tubing makes them a good choice for gigging drummers of all musical genres.Our 3300 snare stand has a straight-forward design that fits 12", 13" and 14" snare drums. 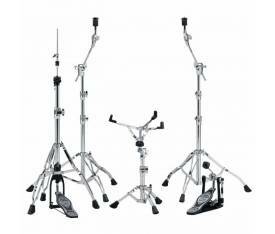 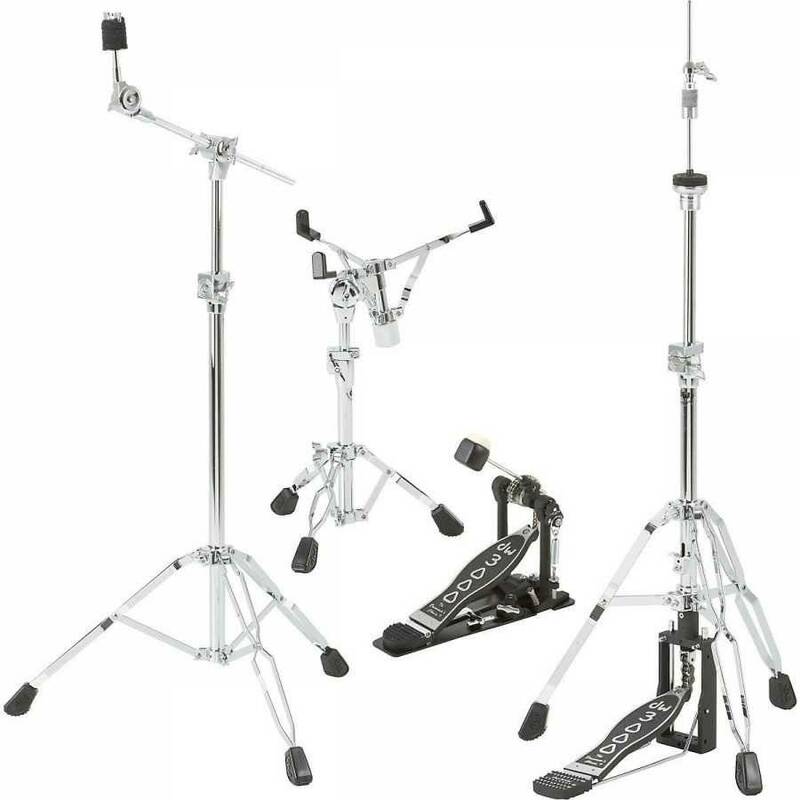 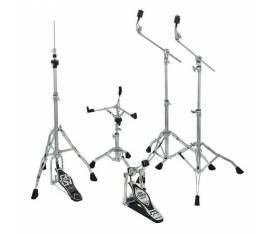 Steel double-braced legs offer optimal support for heavy snares, while the scaled-down footprint makes it easy to position in between multi-pedal set-ups.